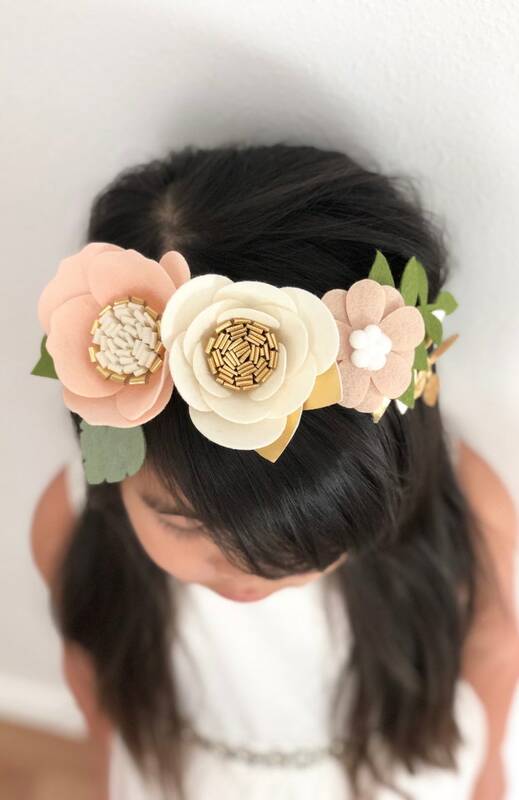 This delicate flower crown will add a perfect touch of *pretty* to your flower girl, bridesmaids, birthday girl or yourself! 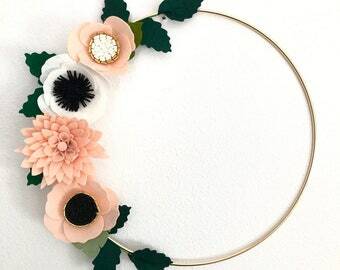 Made of felt, this lovely crown can be worn time and time again. 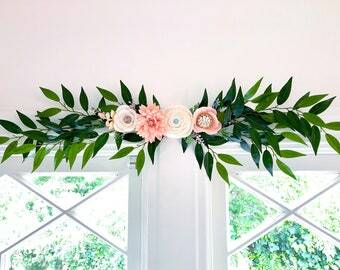 Perfect for weddings, bridal/baby showers, birthday parties, or family photos! 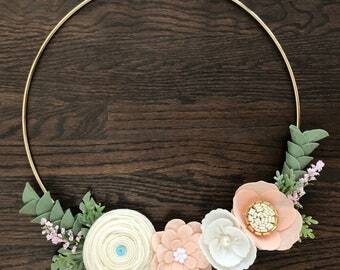 This crown features delicate blush and white flowers with pretty pops of gold. Open back with adjustable ribbon ensures a comfortable fit for ages 1 year - adult! 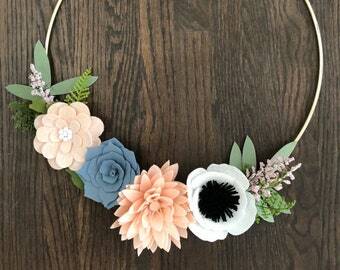 Handmade crowns are ready to ship in 3-5 business days. 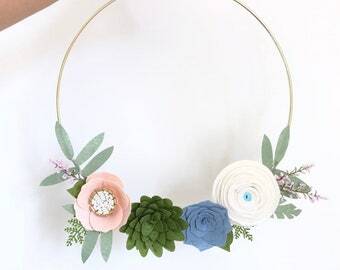 Wreath came very fast and was just what I was looking for! Perfect in every way! Brought tears to our eyes! 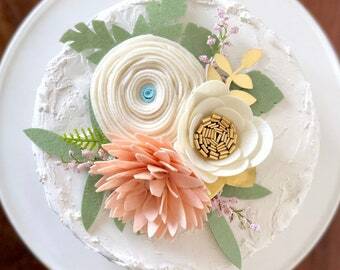 Lovely baby gift!